Everyone has been gushing over Jennifer Lopez’s emerald cut engagement ring from Alex Rodriguez following his marriage proposal in early March and it seems like she relaunched the trend of emerald cut rings but in fact, J.Lo isn’t the first celebrity to have that style ring. 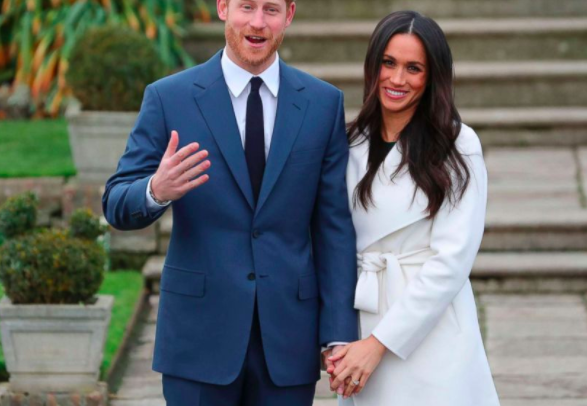 The singer may have the most famous emerald-cut in the world currently, but Beyonce, Grace Kelly, Elizabeth Taylor, Amal Clooney, Kim Kardashian and others also had emerald cut engagement rings. Princess Grace had a 10-carat emerald cut diamond engagement ring given to her by Prince Ranier. Elizabeth Taylor wore a 33-carat emerald cut diamond, a gift from Richard Burton, and more recently Angelina Jolie got an emerald cut engagement ring from Brad Pitt. 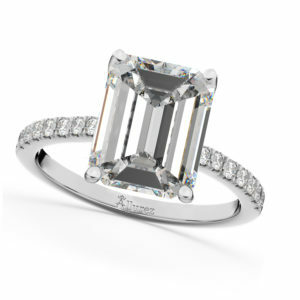 If you want to follow in their footsteps, here are some things to keep in mind about emerald cut engagement ring for you or your partner. 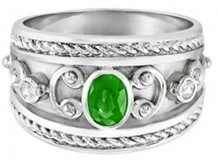 Emerald Bypass Halo Diamond Engagement Ring 14k White Gold (1.13ct) by Allurez. 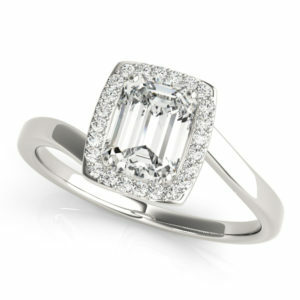 Emerald cut rings can be tailored to both the diamond and the wearer, depending on what they want, the magazine added. In other words, emerald cuts come in a wide array of shapes and cuts to suit different people according to their taste and style. 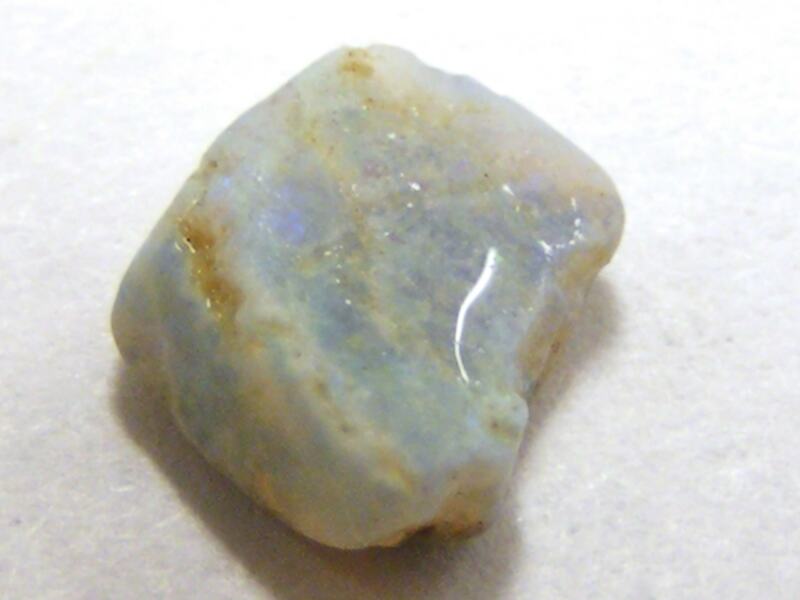 They can be rectangular or more of a square shape, each with a unique faceting arrangement. In contrast, round cut rings are all cut to basically similar proportions and do not have as many types of variations to play around with. 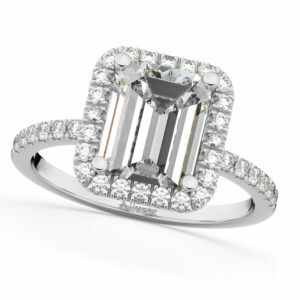 In other words, the creativity is almost endless with emerald cut rings, if that’s what you’re after. 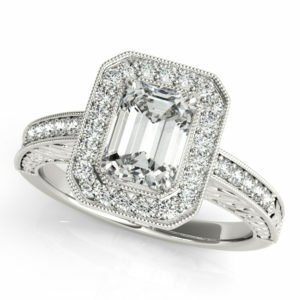 Diamond Halo Emerald-Cut Bridal Set 14k White Gold (1.00ct) by Allurez. You shouldn’t have to break the bank for good jewelry! Jennifer’s ring from A. Rod is estimated to cost between $1.4 million to $6.5 million. 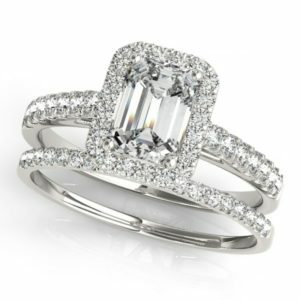 A cost is like that is way out of some people’s price range, so if you want a similar stunning rock of your own, try considering moissanite engagement rings. Many people believe the center stone of an engagement ring must be a diamond, but that’s not a set rule. 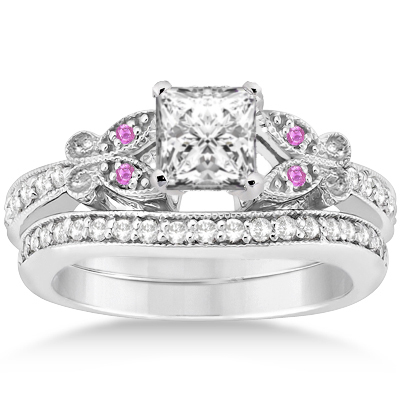 Moissanite & Diamond Engagement 14k White Gold (3.32 ct) by Allurez. Moissanite was first discovered in 1893 at the site of a massive meteorite strike in Arizona. There are such small natural quantities of it on earth that nowadays the mineral is almost always lab-grown and created through silicon carbide formed as a single crystal. It comes in all of the same cuts and settings in which diamonds can be made. 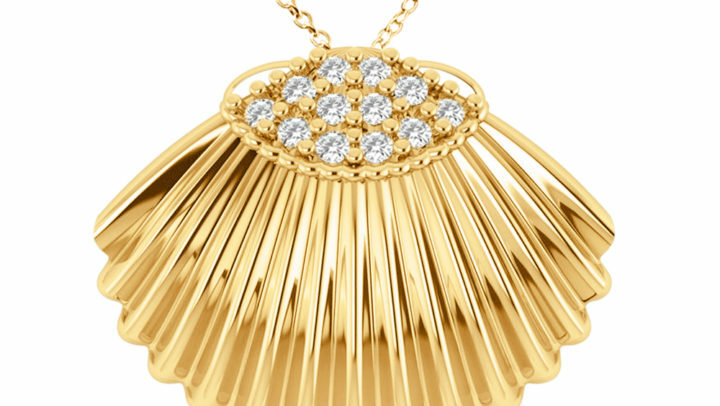 Moissanite jewelry includes rings, earrings, necklaces and pendants. It so closely resembles a diamond that with the naked eye it’s sometimes difficult to tell the different between the two. 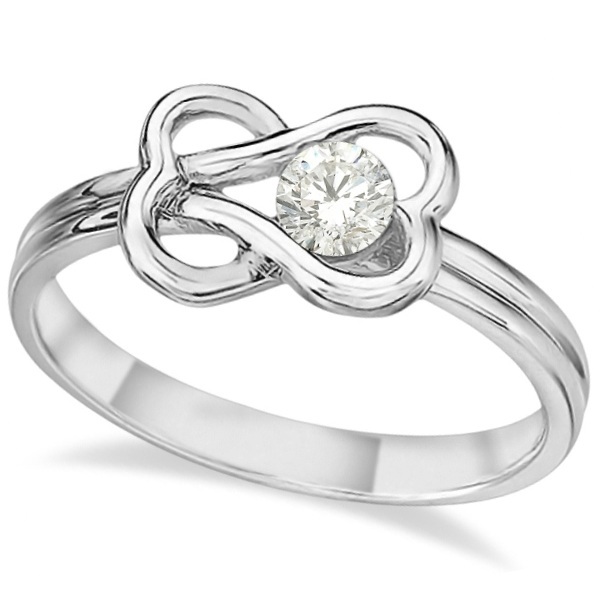 Moissanite is also cheaper than a diamond so many people choose it as a more affordable option to a diamond. Diamonds are traditional and expected (how many people do you know that don’t have a diamond engagement ring?) while moissanite came from the stars, so having a moissanite ring will make your engagement ring different from others. Another positive thing about moissanite: on the Mohs Scale of Hardness, it’s rated as a 9.25, which is higher than any other gemstone used in jewelry besides diamonds. It’s extremely durable, making it great for everyday wear, and moissanite is second to diamond in terms of hardness. Diamonds, which are the hardest known mineral, score a 10 on the hardness scale. 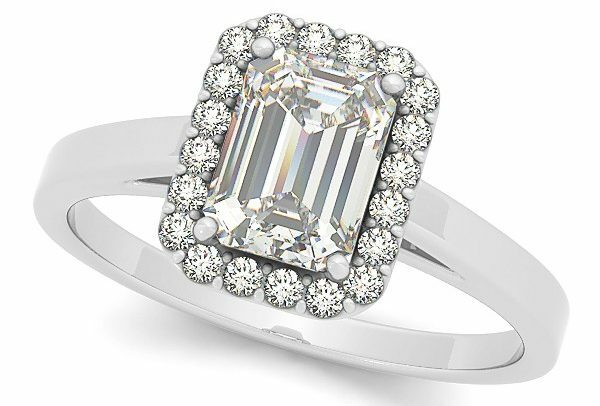 Emerald Cut Moissanite & Diamond Engagement Ring 14k White Gold (2.96ct) by Allurez. The affordable pricing for moissanite is one of its most appealing qualities but moissanite also has a higher brilliance (the ability to reflect white light) than a diamond, meaning they have more of a sparkle. Also, if you’re thinking about being eco-friendly, moissanite is lab-grown so there is no mining involved in its creation process. It is not harmful to the earth and not involved in any conflict trade.